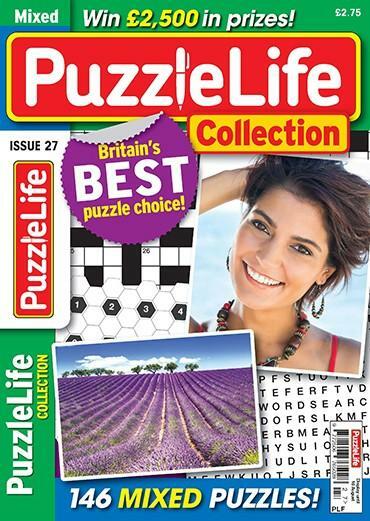 Our premier puzzle title, PuzzleLife Collection contains 130 with a greater variety than any of our rivals – and it's better value too. Puzzles easy and hard include crosswords, cryptics, mazes, quizzes, wordsearches and a whole lot more. There's also £2,500 in prizes up for grabs every month. Be the first person to tell us what you think about PuzzleLife Collection and you'll save £2.50 on your next purchase!